The Spin Jig comes equipped with a premium VMC hook made from high carbon steel with a forged shank and a needle point. 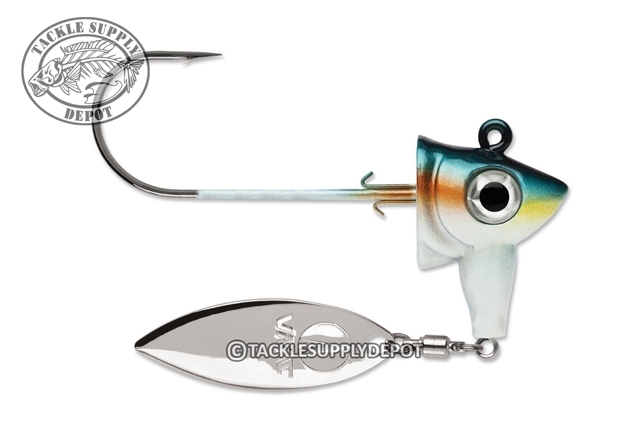 The jig has an exaggerated belly keel and premium ball bearing swivel that maximizes swim-and-spin actions. When fish are schooling up around structure or suspended around baitballs the Spin Jig paired with a fluke style or small paddletail swimbait can be the ultimate tool for the job.